Why settle for less? 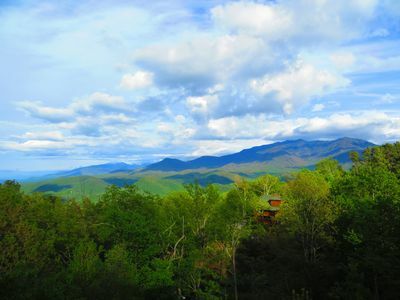 Stay in a chalet with spectacular panoramic views of the Great Smoky Mountain National Park visible from the beautifully decorated great room and both King master suites. All 3 rooms have floor to ceiling windows to one of the most awe-inspiring views you can imagine. Plus, we've brought the outside in by decorating Cloudy Dreams with the artwork of local wildlife and nature photographers. 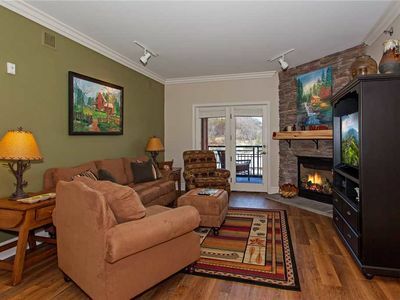 You'll truly feel like you're immersed in the Smokies whether you're cuddled up enjoying the warmth from the gas fireplace in the great room or if you're outside taking in the mountain view of the park from the private decks. Ready to have some fun? Downstairs you'll find activities galore for old and young alike. There's an Olehausen pool table, a 47' smart flat screen TV that's great for watching sporting events, and an unbelievable collection of movies, books & board games. 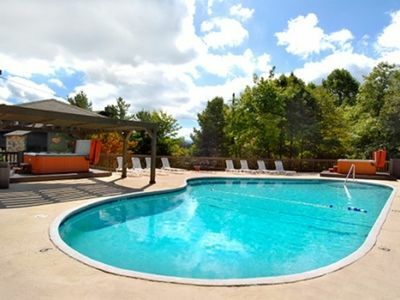 Let's not forget the soothing hot tub located just steps away from all the fun. 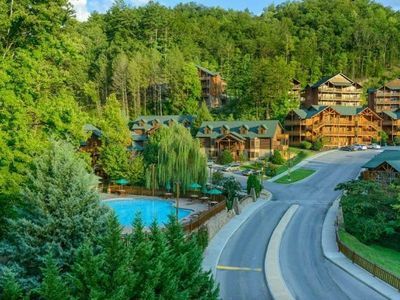 And, if location is important to you, the Gatlinburg 'strip' is just 2.6 miles away and Ober Gatlinburg ski area is just 1.5 miles away. And, most importantly, when you rent Cloudy Dreams, you rent directly from the owners. 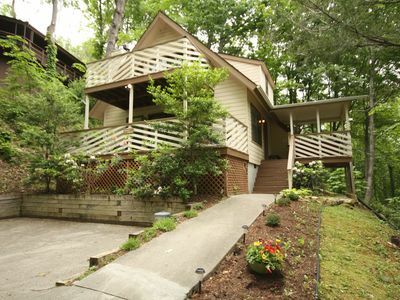 Welcome to our chalet in Gatlinburg, Tennessee. 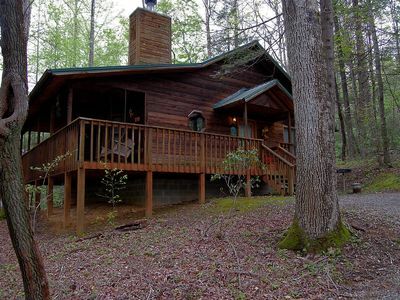 This privately owned chalet is aptly named 'Cloudy Dreams - A Chalet Over Gatlinburg' as it is situated high above Gatlinburg at 2380 feet yet it is only 5 minutes to downtown Gatlinburg. 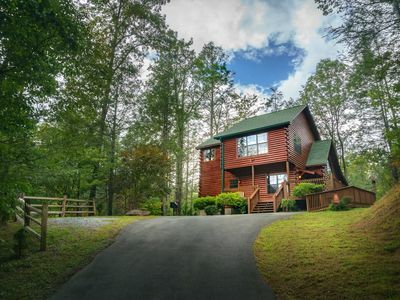 It has spectacular views of Mt. 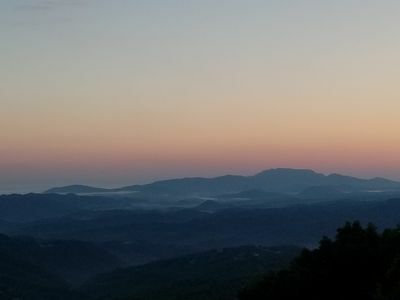 LeConte and the Great Smoky Mountain National Park. Our home is located just one street away from the park boundary gracing you with a truly awe-inspiring sight. 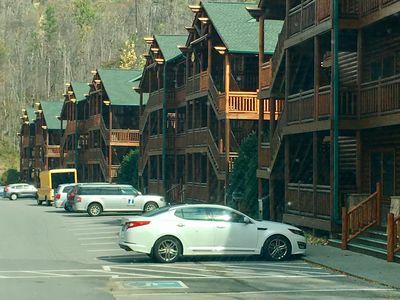 Spending your days in Gatlinburg is a snap when you stay in our chalet since it is only 2.6 miles from traffic light #10 and all the action on the 'strip'. Like to ski or snowboard? 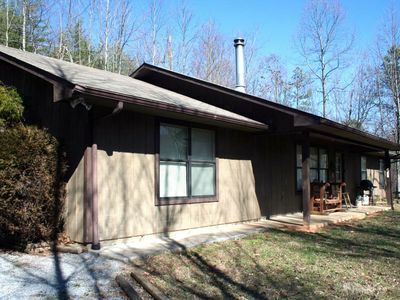 If so, our place is perfect, as it’s only 1.6 miles to Ober Gatlinburg and the ski slopes. 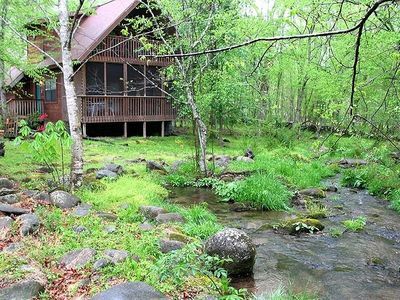 Pigeon Forge is also easily accessible taking just 15 minutes using back roads to avoid traffic. 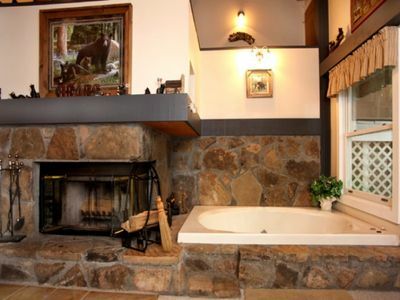 Our 2 King suite/3 full bath chalet sleeps 6 and with 1834 square feet to spread out in, the chalet is quite spacious. 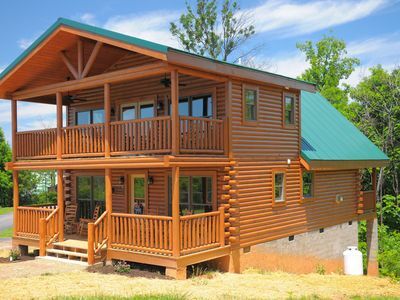 And don't forget to unwind on one of its two covered decks. The main level, and largest, one is unique in that it is angled making it appear to surround the view. 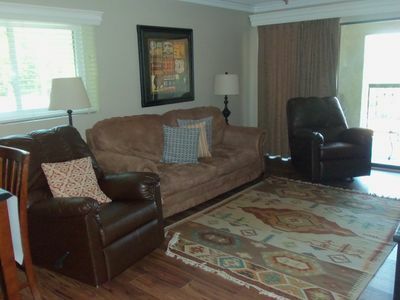 On the main floor, two couples will be very comfortable each in their own luxurious King suite with attached bathroom. They have 40" and 42"' TVs and large walk-in closest. 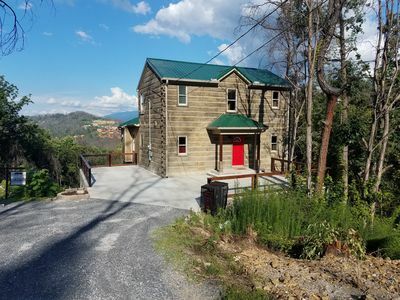 Both bedrooms have a full wall of windows with a door to the deck allowing you to wake up and fall asleep to a gorgeous mountain view. 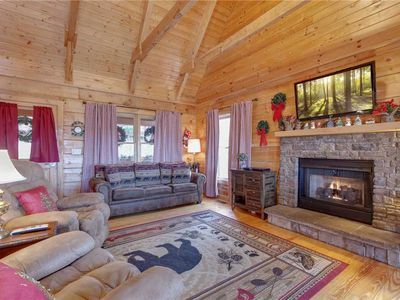 Also on the main level is the laundry room, fully equipped kitchen, dining area, and a great room with a gas fireplace made of stone. 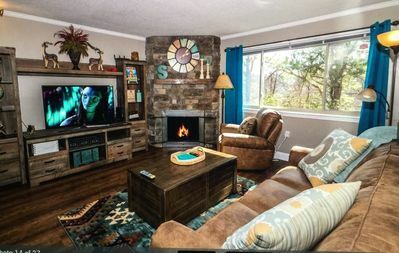 The great room has 2 extra large plush recliners and a sofa with 2 recliners to kick back in and watch the 48' smart TV that also graces this room. 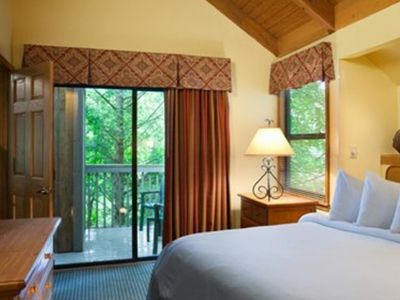 Like the bedrooms, the great room also has a full wall of windows with a door leading out to the covered deck and Smoky mountains view. 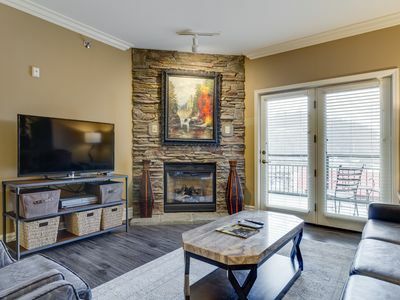 Downstairs on the lower floor you will find a large game room complete with an Olehausen pool table and 47” TV to watch those football or basketball games on. Up for a game of cards? There’s a game table perfect for playing board games or a round of poker. We've supplied board games, books, and DVDs for your entertainment. We've provided things to do for our guests of all ages! On this level you’ll also find a queen-size sofa bed, a comfortable chair for relaxing in, and a bathroom complete with a shower. 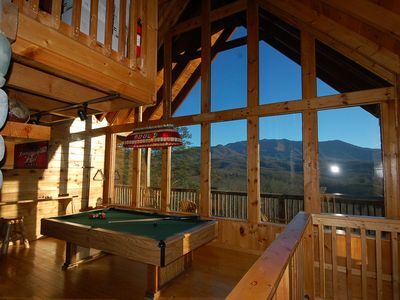 Great location, Awesome views, Hot Tub and Game Room. NO FIRE DAMAGE!!! New Luxurious Listing! 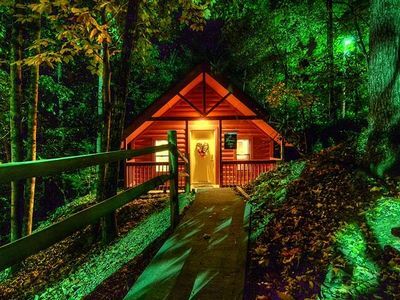 You will open the door and say "WOW!"